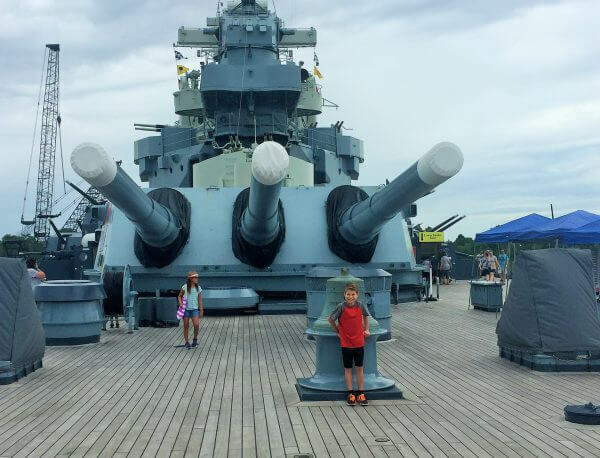 Took my eight year old grandson to visit the Battleship North Carolina last week. It was a thrill to visit for both of us. This battleship fought the entire World War II and even though it was attacked many times it was never severely damaged. It is on display in Wilmington. The USS North Carolina (BB-55) is one of the most visited attractions in the state of North Carolina. Your trip down to our coast would not be complete without a visit to see it! It is not a far ride from St.James Plantation. Be sure to check out the history of the USS North Carolina. It is very much an attraction for all ages! It was the fourth warship in the Navy to be named for the State of North Carolina. She is open every day of the year, including all holidays. The tour is self guided and you can go at your own place. 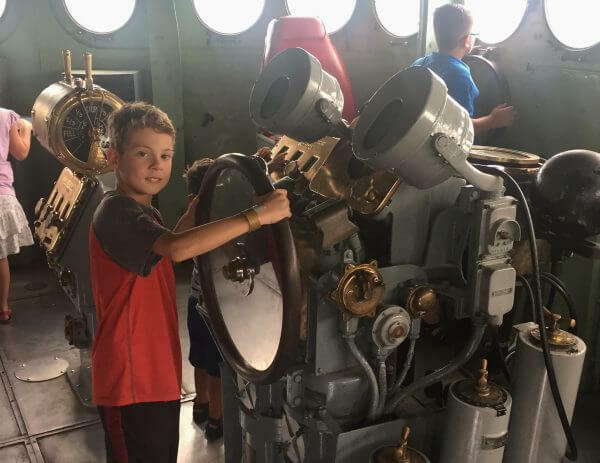 Children and even adults can climb inside some of the cannons, and also see the living quarters of some of the bravest soldiers that ever lived. You can imagine yourself steering the ship, firing a gun, or starting the engine. What most people don’t know is whenever you get off the USS North Carolina, you will have spectacular views of the Wilmington riverfront. The Riverfront boasts many unique shops, historic buildings, and you can even see the Coastguard vessel parked and in commission! We just love living in St. James Plantation and what all of the surrounding areas have to offer! We hope you will too!